HONG KONG - Affordable Art Fair Hong Kong 2015 opened this weekend with a huge number of guests all wanting to get first dibs on thousands of art pieces from some 135 galleries worldwide. Already in its third year, the AAFHK continues to grow and evolve with more galleries participating, majority of which are from Asia (84) followed by Europe (34). 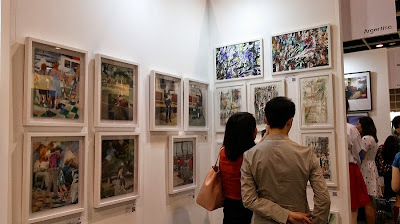 Newly-appointed Fair Director Stephanie Kelly says that it's only natural for AAFHK to have these many art as the response from the local buyers have been overwhelming. "We attract both seasoned buyers and new collectors but more importantly, we want to show that this is the place to come and learn about art," Stephanie said. "It is all about making art accessible to everyone. You don't need to be an expert or a millionaire to own art. Lots of people are intimidated by the art world." To avoid this, Stephanie encourages visitors to talk to the gallery owners and the artists to know their stories, technique, and inspiration and get a clearer picture of the art work one may be interested in displaying at home or at the office. 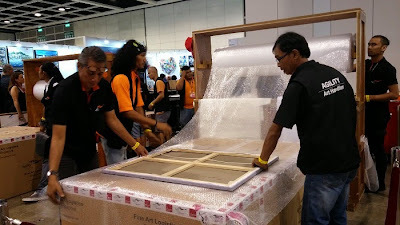 A new feature this year is the Art Home display that hopes to give buyers an idea how a piece will look like in an actual home space. The installation features over 50 artworks under HKD10,000 in a 450 square foot space. The traditional painting remains the more popular piece of art at AAFHK but Stephanie has seen interest in prints, a medium she says is a good place to start a collection with. 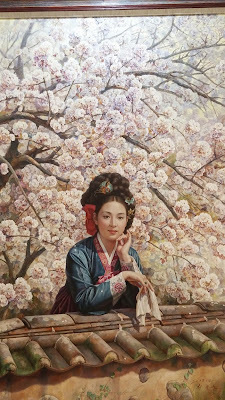 Another set of art forms, however, that can truly be considered to be departing from tradition are those that come from the artists in Young Talent Hong Kong. Supported by Valmont, this year's edition is curated by Eric Leung and it follows the theme "Reveal". It features new media digital artworks and experimental pieces that truly push the envelope when it comes to artistic expression. "Young Talent is amazing," Stephanie says. "They are fresh out of university and they are the digital and social media savvy type. Most are video orientated, fast-moving conceptual work. So if you are looking for what's going to be the trend in the next 20 years, that's the place to begin." But at the end of the day, Stephanie adds that with thousands of art works to choose from, the buyers simply have to trust their taste. "It's a very personal journey. It's something you do for life," Stephanie says. "we have consultants at the DBS Lounge who'll give you tips on how to start your art collection. Buying art is addictive and I think everyone is looking for something different and that's what we have to offer here." As Stephanie finished saying this, a couple of staff from Agility, the fair's official art handler, walks past our table carrying a large painting all wrapped and ready to be delivered.